The Inada Dreamwave massage chair is an improved version of the Inada Sogno Dreamwave. The product is known as the best massage chair as well as the most costly chair available in the market today. If you’d like to know if the hype is real or the price tag worth it, you can find out from the information provided below. The Inada Dreamwave is a premium expensive massage chair which is made by Japanese manufacturers who are highly respected and know in the industry (of massage chairs). The chair was created using a cutting edge and innovative design and technology although its price range is not suited for everybody. However, the first model which is the Inada Sogno Dreamwave massage chair is slightly cheaper and is still available on Amazon.com from various suppliers although you’ll be going for a model that doesn’t include a lot of features such as 3D back massage and heat. Inada is a well-respected Japanese company. The company was founded in 1962 and it specializes in the manufacture of world class, ultra high quality therapeutic massage chairs. The company which is based on Osaka has numerous awards which were won because of the performance and quality of their products. For instance, the Dreamwave technology (described further below) was first of its kind to be invented. The chair’s design was also the first of its kind to be designed (it was done by a popularly known designer Toshiyuki Kita). The Inada Dreamwave massage chairs come with a 3 year warranty for limited parts and labor. If you’d like something that offers a more extensive coverage, go for Inada’s 5 year extended warranty which you can purchase within 30 day of buying the product. For the Owner’s Manual, click HERE. The Inada Dreamwave massage chair has the capability of providing a full body massage, starting from your hands to your feet. This isn’t just a promotional drivel. Experts testify that this is true. The chair has massage coverage of 1,200 square inches. Combine that with a total of 100 airbags and it becomes a lot more than what is available other massage chair models. With this kind of coverage, you can imagine the kind of relaxing and soothing that is provided by a gentle massage setting. You’ll feel like you are being cradled in silent relief or are being hugged by a warm and fuzzy summer cloud. When the Inada Sogno Dreamwave chair was first introduced to the market, it became the first massage chair that was using Dreamwave Technology. As previously explained in the Inada Sogno Review, Dreamwave technology imitates the adjustments of movements and therapy that can be performed by a chiropractor. The Dreamwave massage chair pump up the seat and at the same time tilts your hips in a rotating motion. If you experience a lot of pain that hinder you from being able to make the said movements on your own, this technology will help you with that. All you’ll be required to do is to sit and relax. Also the Dreamwave function is quite therapeutic. 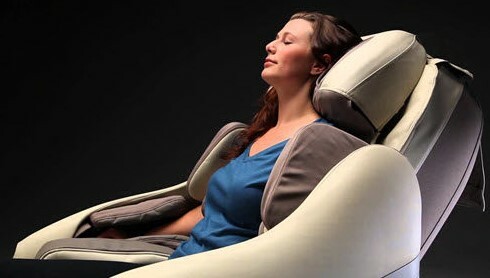 Customers who have used it before have stated that they experienced less pain after using the massage chair regularly. According to Dr. Alan Weidner, a massage chair guru, there is nothing that can be compared to a full arm massage like the one performed by the Inada Dreamwave. The full arm air Shiatsu function comprises of 20 air cells that massage your arms rhythmically using a sequence of movements that is science-based. The chair not only revitalizes your arms, it also gets your lymphatic system on the move especially if you don’t move around a lot or are stuck working a desk job. The word “propriety” keeps coming up because of Inada’s innovation of all these functions. The thigh and hip massage function is good for loosening up the tight muscles found around the thighs and hips. This will help promote easier and better movement in the area after a massage. The massage chair also targets the Ilio Tibial Bands that are found on the outside part of your thighs. This is very beneficial for athletes who are ailing from the iliotibial band syndrome. When you’re very tired or very sore, you always instinctively arch for a great way to ease your tired and hurting muscles. The Dreamwave massage chair has a full stretch feature which includes flexion and extension as well as gentle rotational stretching meant for problematic areas such as the shoulders, hips and mid back. A lot of customers keep asking whether their teenage children can use massage chairs. The Dreamwave chair was designed with a Propriety Youth Session function that allows teens to use it as well. As long as your child fits well into the massage chair, they can use it. However it is mostly suitable for youngsters with the age range of 14 years and above. Whether you’re simply feeling cold or misty or suffering from acute of chronic pain, the infrared heating function found on the Dreamwave massage chair is a welcoming addition to your relaxation time. The previous model, the Inada Sogno did not contain any heating but thanks to the upgrade, you can now enjoy back and seat heating. 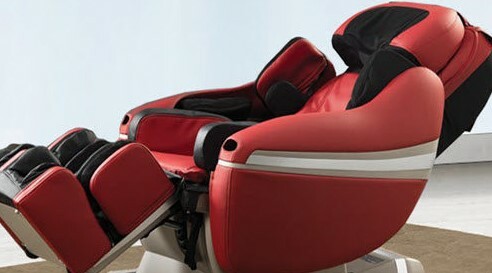 The Inada Dreamwave is one of the most expensive massage chairs that can be found in the market. If you have a limited budget, the Inada Dreamwave massage chair isn’t meant for you. As previously mentioned, the design of Inada Dreamwave chair was uniquely innovated and was later on imitated by various different models and brands. With the numerous whistles and bell, you can understand why the massage chair is heavy in weight and big in size. If you intend to purchase this chair, you need to have a rather lager space to put it because it takes up a lot of floor space. However, if you prefer something more compact go for massage chairs like Kahuna or even iJoy series which are designed using space saving technology. If you’re looking for a good massage chair and you don’t mind the prohibitive price of the Inada Dreamwave brand, you will have the best massage chair to help you soothe those paining body muscles. Don’t forget that this is a premium and luxury massage chair that comes from reliable manufactures.